SafeTrack’s second of fifteen total Safety Surges began June 18th. This extensive, year-long repair project will include sections of the rail system to be shut down temporarily, single tracking between certain station, changes in metro hours, and more. This will inevitably cause increases in traffic all over the DMV. Don’t forget that you still have options. Towers Crescent Commuting can help you be matched with a carpool, a bus route, and even help answer questions about flex hours and telecommuting. Email us at info@tccommuting.com to find out what’s best for you during this inconvenient time. Thanks to all of you that took the 2016 Tysons Commuter Survey! 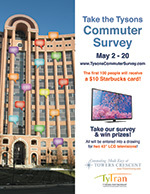 Towers Crescent Commuting uses this survey as a tool to learn how we can improve your commuting experience. The more we learn about your commute, the better we can assist you in as many ways as possible. 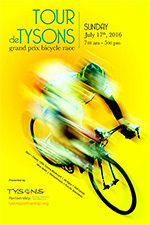 Grand Prix Bicycle Race. This event will feature 10 races between 8 A.M. and 5 P.M. This event is wonderful for both beginning, amateur, and elite cyclists and will feature food trucks and variety of vendors. Registration and more details coming soon! Commuting to Towers Crescent by bike is a great way to get prepared for Tour de Tysons! Contact Towers Crescent Commuting to get started. and are on sale now! 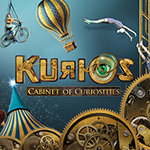 www.cirquedusoleil.com. Concerts on the Plaza at Tysons Corner Center are back in full swing this summer. Beginning in June acts such as The Legwarmers, Ingrid Michelson, and more will be coming to Tysons. With the Plaza less than a 10-minute walk from Towers Crescent, don’t miss out on these amazing opportunities right in your Towers backyard. For more information about these concerts as well as other awesome events taking place at Tysons Corner Center visit www.tysonscornercenter.com/Events.